ConnectCode Barcode Software and Fonts is a package that enables the creation of standards-compliant barcodes using True Type and Open Type fonts. 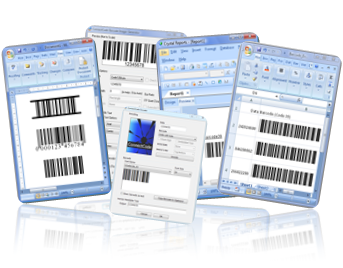 It is trusted and highly-regarded by many fortune 500 companies and is considered to be one of the best barcode software in the market. This version introduces Barcode & Label, a Windows Store app, for label design and barcode printing on Windows tablet. The Barcode & Label app is bundled with over 900 industry label stock templates, has over 150 clip arts, and supports the generation of standards-compliant barcodes using ConnectCode's Barcode Fonts technology. With an elegantly simple user interface, it enables users to produce Address Labels, Inventory Tags, Price Labels and Business Name Cards quickly and easily. The app provides many advance features and capabilities found only in industrial strength label software such as WYSIWYG creation of vector objects, dynamic text/barcode fields, Grid Snapping, Zooming, Rulers, Label Stock Customization, Undo/Redo, Objects Alignment, Multi-Objects Selection. Both Inch and Centimeter units of measurement are supported. The app is designed to work on both tablet and desktop Windows 8 and supports users using either the touch or a mouse.